I am not a lawyer or law professional. I have researched GDPR (General Data Protection Regulation) to the best of my ability. It is my desire to respect the privacy and trust of my readers. Please take responsibility of your data and online privacy. Be careful with what you share and who you share it with. As our world becomes more virtual, awareness is vital. Dawnita Fogleman &/or Prairie Dust Trail is a United States company subject to the laws of the United States. This website was not created to serve, nor does it actively market to residents of the EU (European Union) or the United Kingdom. When accessing our website, Dawnita Fogleman (PrairieDustTrail.com) will learn certain information about you during your visit. 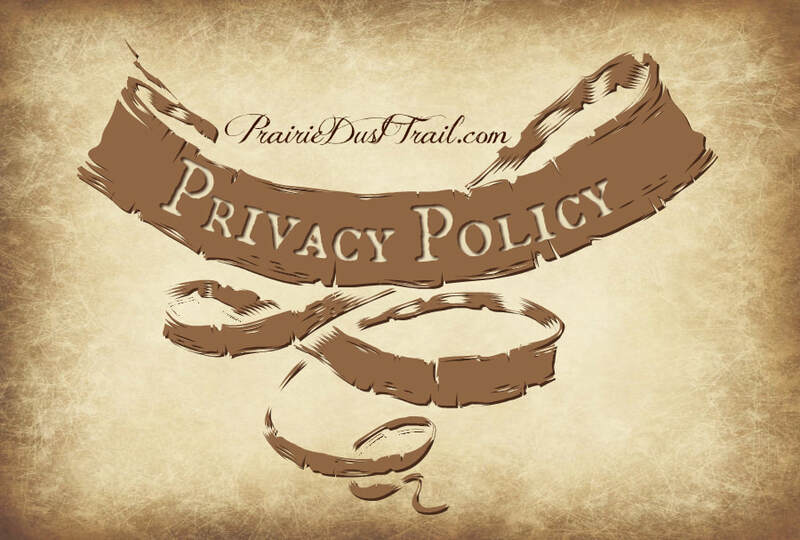 This privacy notice provides you with details of how we collect and process your personal data through your use of our site PrairieDustTrail.com, including any information you may provide through our site when you purchase a product or service, sign up to our newsletter or take part in a giveaway or competition. Dawnita Fogleman is the data controller and is responsible for your personal data (referred to as “we”, “us” or “our” in this privacy notice). Contact, Financial and Transaction Data from providers of technical, payment and delivery services such as Paypal US: https://www.paypal.com/us/webapps/mpp/ua/privacy-full Paypal UK: https://www.paypal.com/uk/webapps/mpp/ua/privacy-full. We may process your personal data for more than one lawful ground, depending on the specific purpose for which we are using your data. Please email us at fo9leman@outlook.com if you need details about the specific legal ground we are relying on to process your personal data where more than one ground has been set out in the table below. You can ask us or third parties to stop sending you marketing messages at any time by following the opt-out links on any marketing message sent to you OR by emailing us at fo9leman@outlook.com at any time. We will only use your personal data for the purposes for which we collected it, unless we reasonably consider that we need to use it for another reason and that reason is compatible with the original purpose. If you wish to find out more about how the processing for the new purpose is compatible with the original purpose, please email us at fo9leman@outlook.com. If you wish to exercise any of the rights set out above, please email us at fo9leman@outlook.com. We will use your e-mail address solely to provide timely information from and about Dawnita Fogleman &/or Prairie Dust Trail (PrairieDustTrail.com). Dawnita Fogleman &/or Prairie Dust Trail may use software programs to create summary statistics, which are used for such purposes as assessing the number of visitors to the different sections of our site, what information is of most and least interest, determining technical design specifications, and identifying system performance or problem areas. For site security purposes and to ensure that this service remains available to all users, Dawnita Fogleman &/or Prairie Dust Trail uses software programs to monitor network traffic to identify unauthorized attempts to upload or change information, or otherwise cause damage. Dawnita Fogleman &/or Prairie Dust Trail makes no representations, warranties, or assurances as to the accuracy, currency or completeness of the content contain on this website or any sites linked to this site. All the materials on this site are provided ‘as is’ without any express or implied warranty of any kind, including warranties of merchantability, noninfringement of intellectual property or fitness for any particular purpose. In no event shall Dawnita Fogleman &/or Prairie Dust Trail or its agents or associates be liable for any damages whatsoever (including, without limitation, damages for loss of profits, business interruption, loss of information, injury or death) arising out of the use of or inability to use the materials, even if Dawnita Fogleman &/or Prairie Dust Trail has been advised of the possibility of such loss or damages.